OVERSTIM.s®, French sports nutrition brand, based in Brittany, accompanies athletes practicing cycling, running, trail running or all other sports for more than 35 years. OVERSTIM.s strives to meet the specific needs of athletes according to the sport, its duration and intensity with a range of high quality nutritional products including specialized ranges : organic, gluten-free and salty for long-distance events. 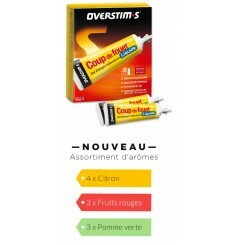 In solid, liquid or gelled form, OVERSTIM.s products are designed and manufactured in France, with strictly selected ingredients, in accordance with a strict specification. By combining nutritional quality, energy efficiency, taste pleasure, OVERSTIM.s accompanies athletes before / during / after their efforts. 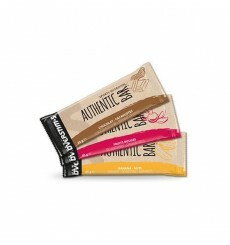 The UTMB Bar is also ideal for your leisure activities. The ORIGIN' BAR ORIGIN' BAR Salty is also ideal for your leisure activities. The ORIGIN' BAR ORIGIN' BAR is also ideal for your leisure activities. 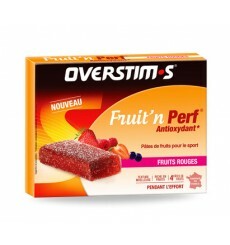 OVERSTIMS fruit'n Perf used during an effort. Fresh and intense, OVERSTIMS LIQUID RED TONIC SPRINT AIR is the must of the OVERSTIM.s instant energy products. 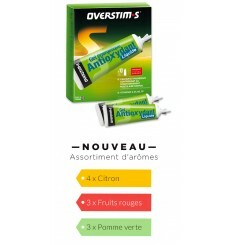 The Overstims liquid Energix gel is an efficient support for muscle activity supplying. 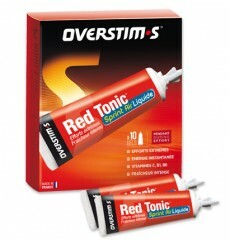 The Overstims liquid antioxidant gel is an efficient support for muscle activity supplying.